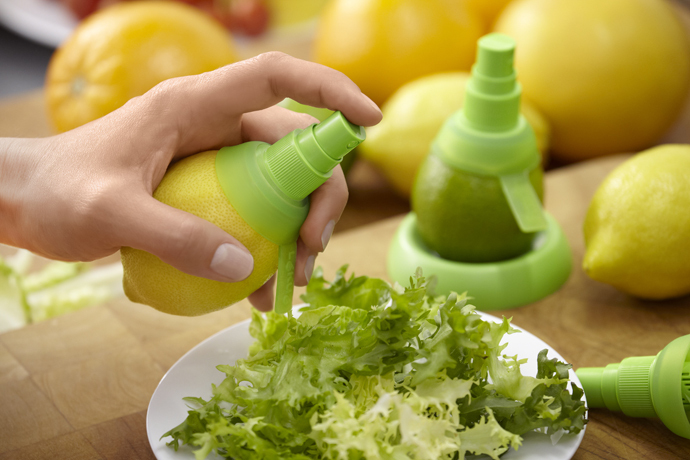 Lékué Citrus Spray, designed by Alberto Arza and Joan Rojeski, is a sprayer that turns the fruit into a natural container that prevents the loss of vitamins and oxidation of the juice. Its design achieves an easy insertion into the fruit; it guarantees a good fixing through the ring and obtains the filtered juice for spraying. In addition to this, it incorporates a supporting base to serve the fruit on the table. 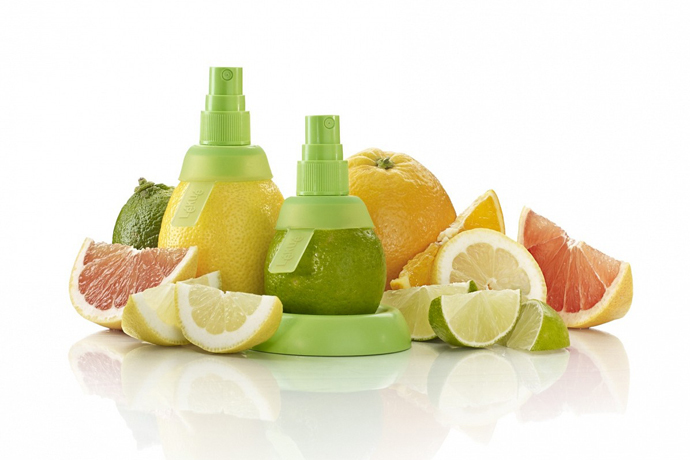 The Citrus Spray is standard-designed and it can be fixed and interchangeable. 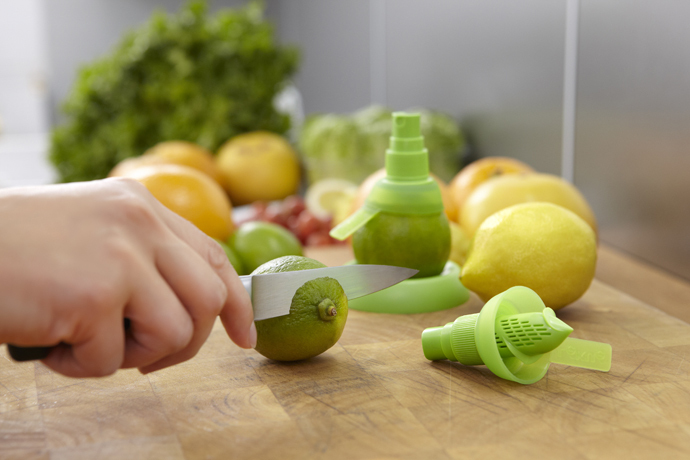 With this new spraying tool you can make the most of every fruit, maintaining the citrus properties for a long time. Includes 2 sizes for optimum extraction: longer unit for larger fruits like oranges and grapefruits; shorter unit for smaller fruit like limes and tangerines.